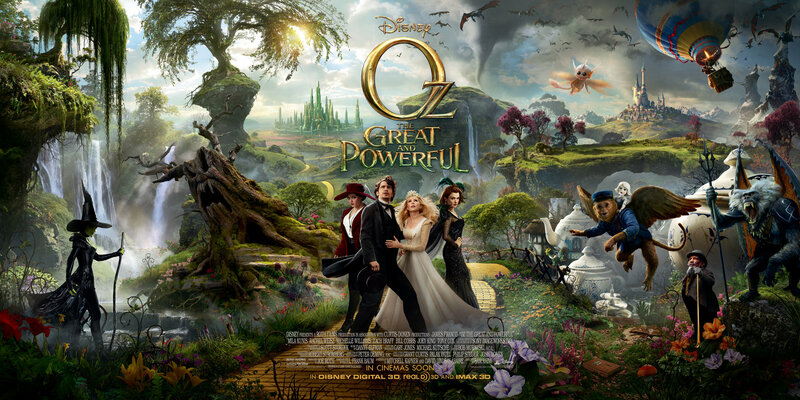 When Oscar Diggs (James Franco), a magician from Kansas, is swept away from Kansas by a tornado, he finds himself in the land of Oz. There, he meets Theodora (Mila Kunis), a good witch who soon falls in love with him. He soon meets Theodora’s sister, Evanora (Rachel Wesiz), who sends him on a mission to defeat the wicked witch. But on his journey, he meets Glinda (Michelle Williams), who claims she is the good witch and Evanora is actually the wicked witch. Oscar now must find out who really is good and who really is evil before it’s too late. I saw this movie in 3D on Friday (March 8) with my grandmother. We both really enjoyed it. The 3D effects are amazing! The acting and visual effects are also really good. This is now one of my favorite movies of all time! This movie is rated PG for “sequences of action and scary images, and brief mild language”. I would recommend this movie for kids 11 years old and older, but kids younger than that might be too frightened. But if you’re 11 or older, then it’s worth going. Even adults will love this fantastic, enchanting movie. Also, here is the website and the trailer of this movie. This entry was posted in Action, Fantasy. Bookmark the permalink. This is a very good review. I enjoyed the movie as much as you did. It has fantasy and charm and…. I didn’t want it to end!